Database Systems Corp. is a leading provider of call center technology including contact management software and automatic phone systems. DSC also offers direct marketing services using call centers located in multiple locations. If your sales organization is looking for outbound and inbound phone marketing campaigns, DSC can provide voice message broadcasting and automatic phone answering services at our affordable call centers. As designers of voice broadcasting systems and call answering systems, DSC is uniquely positioned to manage your calling programs, saving your company both time and money. Because our products are created in-house, we can deliver comprehensive direct marketing services quickly. This can provide you with a competitive advantage in the marketplace. You will also find our inbound and outbound direct marketing services to be quite affordable. Contact DSC to learn more about our direct marketing services and phone systems. DSC offers its clients both inbound and outbound direct marketing services with the ability to manage their own IVR and Voice Broadcasting campaigns online. After signing up for our call center services, you can login to your own account with a unique user id and password. The following are just a few of the applications that can be performed using our direct marketing service programs. Besides offering complete direct marketing services, DSC also provides a contact center phone system that can handle both outbound and inbound direct marketing calls for a wide range of marketing campaigns. For smaller marketing campaigns or organizations, the WIZARD phone system supports from 1 to 48 analog phone lines. 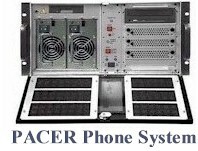 The features and functions of this analog phone system are identical to our PACER system.